Rog and I spent a lovely day in Chiltern this week. It was our seventh trip this year, so I wasn't expecting any surprises. But, while the media is celebrating anniversaries (JFK's assassination, fifty years of Dr Who) I am rejoicing in a remarkable collection of firsts. 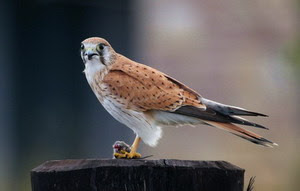 It rained all morning, but still we had some great sightings. Chiltern never lets me down! 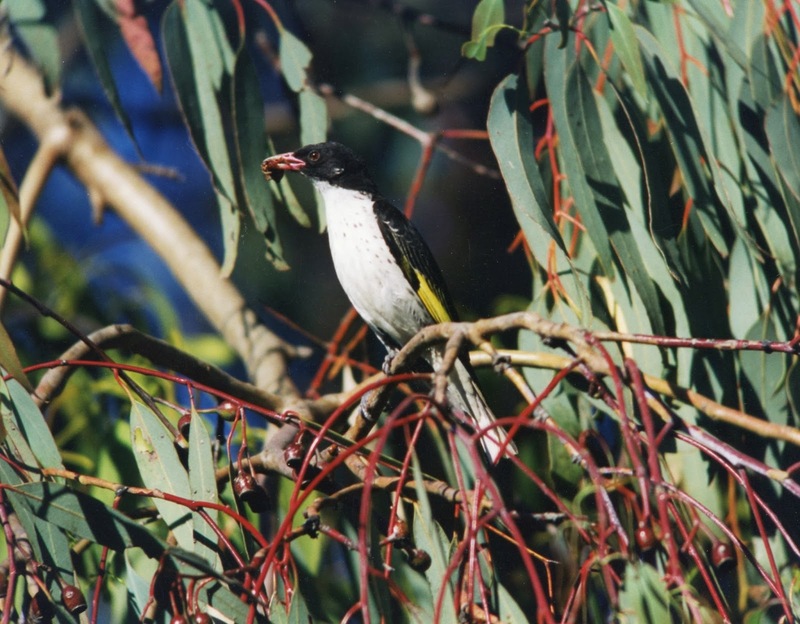 This was the first time that I witnessed Painted Honeyeaters at Lappin's Dam in the Chiltern/Mt Pilot National Park. Painted Honeyeaters are becoming more easily seen around Chiltern and are now just about guaranteed at Bartley's Block over summer. This was the first time I'd seen Diamond Firetails at No 2 Dam. Firetails, too, are becoming more easily seen around Chiltern. I've often seen them at No 1 Dam and I've seen them several times in Rutherglen at the ephemeral swamp and around the gate entering Lake Moodemere. This was the first time I'd seen Great Crested Grebe at No 2 Dam. This was the first time I'd seen White-throated Gerygones at Cyanide Dam. This was the first ever Black-eared Cuckoo I've seen anywhere in Chiltern. It, too, was at No 2 Dam. This was the first time I'd witnessed a Rufous Songlark doing a whisper call. It was a female and she had a large insect in her beak. She was making a very quiet rattle call. This was the first time I'd heard a Satin Bowerbird making a downward whistle, ending in a harsh squawk. This was the first time I'd seen Satin Bowerbirds in Chiltern/Mt Pilot National Park. I am familiar with Satin Bowerbirds and thought I knew their calls, but this whistle was different. It was extremely loud, and slightly reminiscent of the Sooty Owl's falling bomb call. This was the first time I'd ever seen a white wallaby in Victoria. I say white, not albino, as it had black eyes. It was at Cyanide Dam in the Honeyeater Picnic Area. The only other place I've ever seen white wallabies is in captivity in Bordertown, South Australia. And, one last record, which wasn't a first but a second. This was just the second time I've seen Leaden Flycatchers in Chiltern. They were near Cyanide Dam. I believe that the first time was last summer. It would be nice to think that Leaden Flycatchers, along with Painted Honeyeaters and Diamond Firetails, are becoming more common around Chiltern. In my book 'Best 100 Birdwatching Sites in Australia' I list Chiltern as number 5. Sites 1-4 offer seabirds and waders. (They are Broome, Werribee, Cairns and Macquarie Island.) I believe Chiltern really is the top spot for bush birds. It is true: Chiltern never lets me down! Thanks to Martin Cachard, I have now decreased my list of bogey birds by one. On Monday he showed me the beautiful Black-winged Monarch, a bird I had feared I would never see. Over the years, I have visited the tip of Cape York twice and Iron Range once, and always dipped on this elusive bird. Thank you, Martin! And a big 'thank you' to Judy Leitch too, who organized the trip. Sine qua non. I flew to Cairns on Sunday (and a very noisy uncomfortable flight it was) and had time for a quick wander up the Esplanade in the afternoon. I managed 35 species before the heat sent me back to my cool hotel room. The tide was a long way out and a scope would have been handy. However, there was plenty to see close to the boardwalk, mainly plovers and sandpipers, but also a Grey-tailed Tattler, several Eastern Curlews and one or two Whimbrels. I saw only Bar-tailed Godwits (no Black-taileds today), plenty of Red-necked Stints and a few Gull-billed Terns. The plovers included Pacific Golden, Lesser Sand, Greater Sand, and Red-capped and the Sandpipers were Marsh, Terek, Sharp-tailed and Curlew. I walked along the Esplanade until I saw a Nutmeg Mannikin, then I turned back. Along the way there were Rainbow Bee-eaters and my favourite woodswallows, White-breasted, to entertain me. At one spot, I found I was nearly stepping on Peaceful Doves. They are much smaller here than the ones I am used to in the south. I counted 14 walking on the pavement at my feet, and I could hear others calling in the trees above. It was an early start the next morning. Judy and I drove to Smithfield, where Martin picked us up at 4.15. It was a pleasant drive north, watching the huge golden moon set. We arrived at McIvor River at 9.30 and saw our first Black-winged Monarch at 9.40. Howzat! 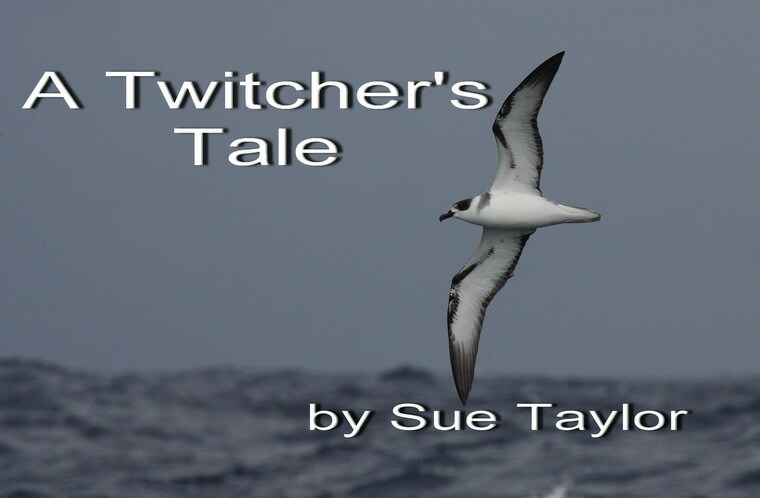 It was a female, and the silvery grey of her plumage was perfect. Not long later we watched a male sing to us. He, too, had beautiful grey plumage. However, his wings were not as black as I'd expected and I was disappointed that his chestnut breast was not as bright as I'd thought it would be. Poor bird, to be judged by my uneducated expectations! To be honest, I would not have cared what he looked like, I was simply delighted to see a bird that I'd been trying to see for decades. The McIvor River causeway was a hot spot for birding. The birds came too fast to write them all down. There was a Papuan Frogmouth dutifully sitting on his nest in the hot sun, and a Helmeted Friarbird lower down on a nest in the same tree. There were honeyeaters (Graceful, Yellow-spotted, Macleay's and Brown-backed), Fairy Gerygones, Forest and Azure Kingfishers and Shining and Leaden Flycatchers as well as Rufous and Northern Fantails. There were also Yellow-breasted Boatbills and Spectacled Monarchs. During the day we saw (and heard) all four friarbirds and admired a Wompoo Fruit-dove sitting on her nest. There were sunbirds, mistletoebirds and silvereyes. And of course there were raptors and waterbirds. There were Metallic Starlings, Drongos and Pheasant Coucals. And doves. We took in the view from Grassy Hill in Cooktown and paused briefly to admire prolific bright red mistletoe (with resident friarbirds) at Black Mountain, while colourful fig-parrots zoomed past. We were impressed with the number of species and the number of birds at Lake Mitchell and I made a mental note to go back there one day with Roger. A Grey Wagtail had been reported, so we stopped at the spot. It was raining by then and the 3.30 start was beginning to take its toll on me (but not on the others) and a wagtail would been just the thing to raise my spirits. However it was not to be. We saw just the usual display of ducks and cormorants and the ubiquitous Common Mynas which seem even more numerous in far north Queensland than at home in Victoria. We arrived back at our hotel just after 7, tired, but with undeniable smirks on our faces. The next morning before I flew home, Judy took me to see the Rufous Owl. He sat, obligingly, staring down at us. He is roosting in a colony of squealing fruit bats. Wonderful to see such an exciting species right in the middle of civilization. Then, of course, we walked the Esplanade again. If the tide had been too far out on Sunday, today it was too far in. The water lapped the base of the boardwalk and there was precious little mud for birds to forage on. The waders were fewer, but different. This time there were knots (both Red and Great) and both Black-tailed and Bar-tailed Godwits. Again, it was uncomfortably hot.